We need Justice for Janitors, Again. 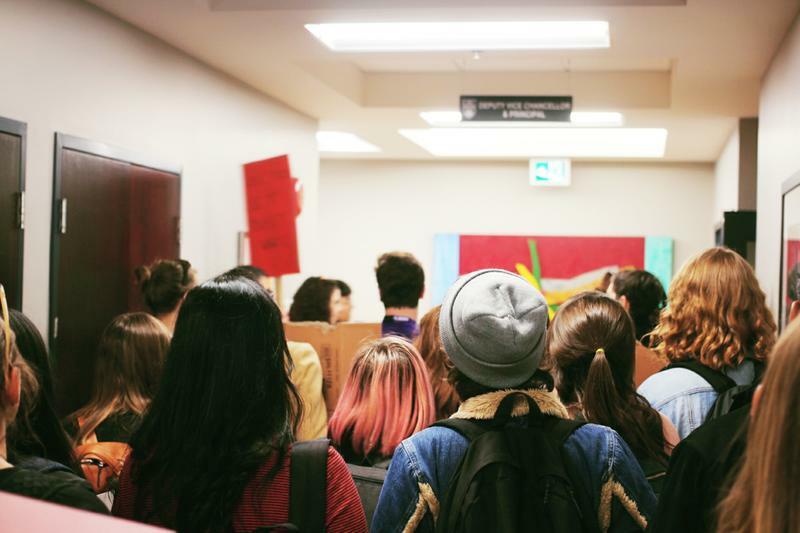 By Tayana Simpson - Coordinating Editor · March 22nd, 2019 at 5:33 p.m.
UBCO’s janitors are facing another injustice at work that could cost them their jobs. It has been less than a year since the cleaners on our campus organized to join the Justice for Janitors campaign. Despite their hard-fought struggle, UBCO announced last November that it’s considering a change in its cleaning service provider on campus. The university is currently deciding whether to award the cleaning contract to Best Service Pros, the current contractor unionized with the Services Employees International Union (SEIU), or two other non-union contractors. While the choice for a new contractor is the university’s right, within the current situation, UBCO has not guaranteed successorship rights. That means if they switch to a new company, workers will not only lose their union agreement, but may lose their jobs. Even worse, choosing the contractor is based on a competitive bidding process, so the university will likely choose the contractor that pays the least money, which will have a negative impact on everyone who studies and works on campus. 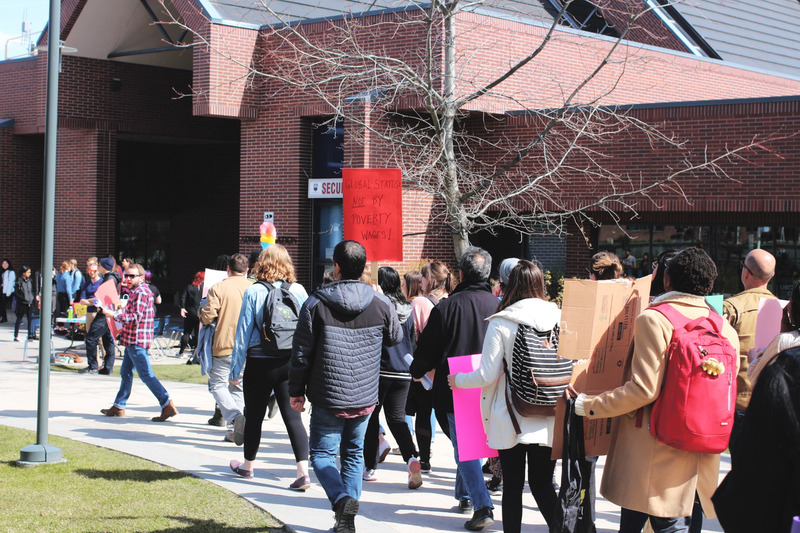 Last April, UBCO’s janitors, students, and faculty marched in the Justice for Janitors rally, and delivered a list of recommendations urging the university to adopt fairer contracting policies that include a living wage. Other universities across BC held similar rallies the same day. After months of hearings at the BC Labour Board, in June 2018, the Board ruled the CLAC contract invalid, meaning the janitors at UBCO had an opportunity to freely choose their union. Within a month, the janitors voted to join SEIU with a 90 percent vote. Despite their victory, a possible contract flip could put these workers in a precarious position. Our university should do right by the hard-working janitors and by the students who pay thousands of dollars to study here and deserve a clean and safe campus. Cutting costs in cleanliness is not the way to go. UBCO is a campus with over 9,000 students, and with that comes an equal amount of garbage. A cheaper cleaning company will only cut costs through less workers and lower wages, meaning the people who already work hard to keep our campus clean will have to work harder and longer for less money. While we worry about assignments and essays, these workers are worrying about their jobs and paychecks. So, as students, and as human beings, we have a responsibility to stand up for those who clean our campus, and to ensure that they are treated fairly. We need to ensure that UBCO guarantees successorship rights for the workers. It’s time to stand up for justice for our janitors, again.